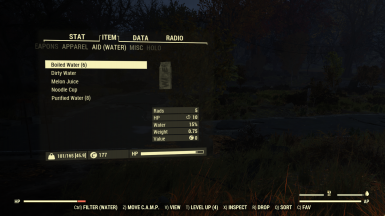 - Forwards Bethesda's updates to the interface file Pipboy_InvPage.swf in game version 1.0.5.10. 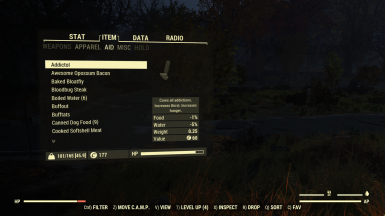 There are no major changes to the Pip-Boy inventory page - the only changes are the introduction of an absolute weight limit and support for FR and BE keyboard layouts. For more information on Bethesda's changes, refer to official patch notes. - New: Click on the tab header (i.e. Aid) to cycle through filters. - New: Scroll on the tab header to quickly cycle through filters. - New: Filter Armor pieces by part. - New: Jump two tabs at a time by holding Shift when navigating left/right through tabs. - New: Jump directly to the first or last (i.e. 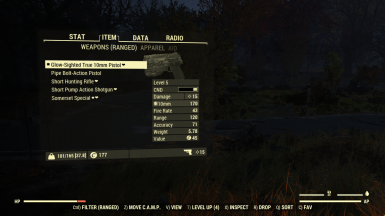 Weapon/Ammo) tab by holding Shift and navigating up or down. - New: Filter Apparel for Outfits and Armor. - New: Tab weight now takes into account the active filter. 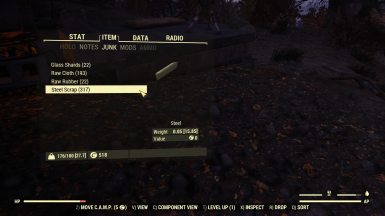 - Fixed: Number rounding issue with item stack weight. 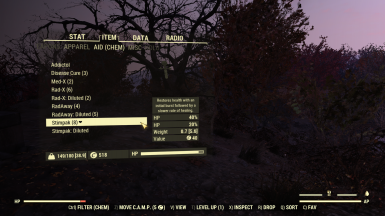 File 'Better Inventory 1.3.2' description changed. 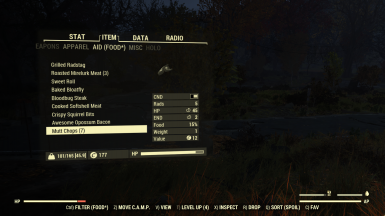 File 'Fallout76Custom.ini for New Users' category changed to Optional files. 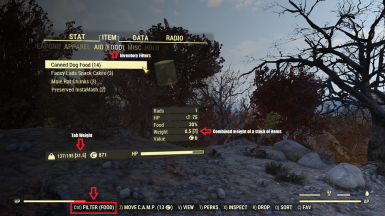 File 'Better Inventory 1.3.2' category changed to Main Files. File 'Fallout76Custom.ini for New Users' category changed to Old versions. 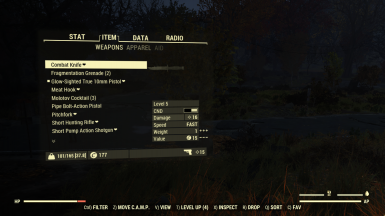 File 'Better Inventory 1.3.1' category changed to Old versions. 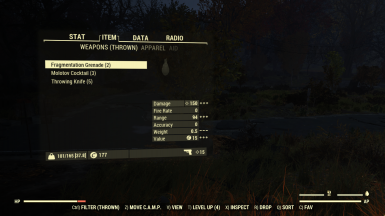 File 'Better Inventory 1.3.1' description changed.